Toyota Yaris 1.0  VVT-i Active 5dr 2019 Review | What Car? 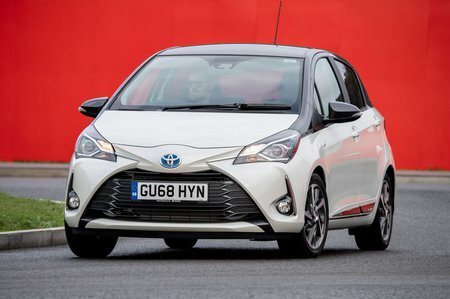 Toyota’s Safety Sense package (now standard on all Yaris versions) brings automatic city braking technology, lane departure alert and automatic high beam, plus, rain-sensing windscreen wipers, power front windows, Bluetooth and a six-speaker audio system come on entry-level Active models. The cheapest way into the range, but it’s pretty hopeless out of the city limits. We’d upgrade to the 1.5.